Australian rugby player, Israel Folau has been sacked after making a controversial post on social media earlier this month. Rugby Australia has issued a breach notice for the Wallabies and New South Wales Waratahs player. 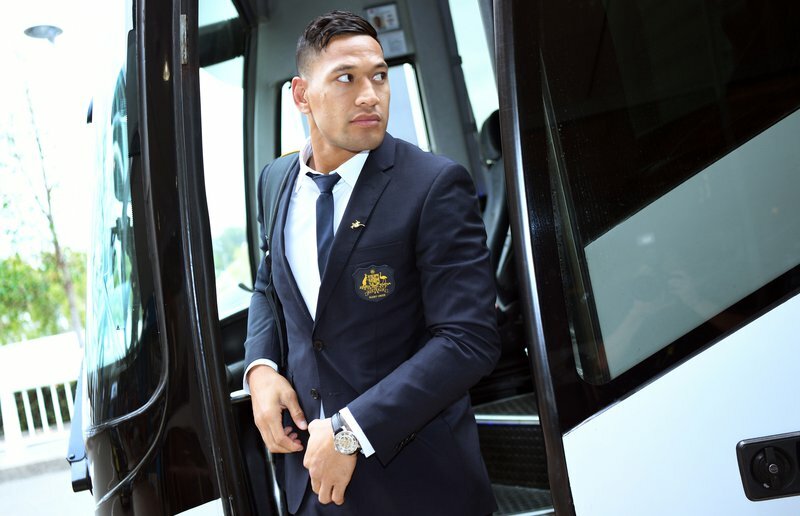 The sports body said Folau "had committed a high-level breach of the Professional Players’ Code of Conduct warranting termination of his employment contract." He has been given 48 hours to accept the sanction or have the matter referred to a Code of Conduct hearing. Folau was criticised by many for his recent social media posts which said hell awaits homosexuals who do not repent. However, this is not the first time Folau has found himself in hot water over his social media usage. He was warned by Rugby Australia last year after making similar comments online. 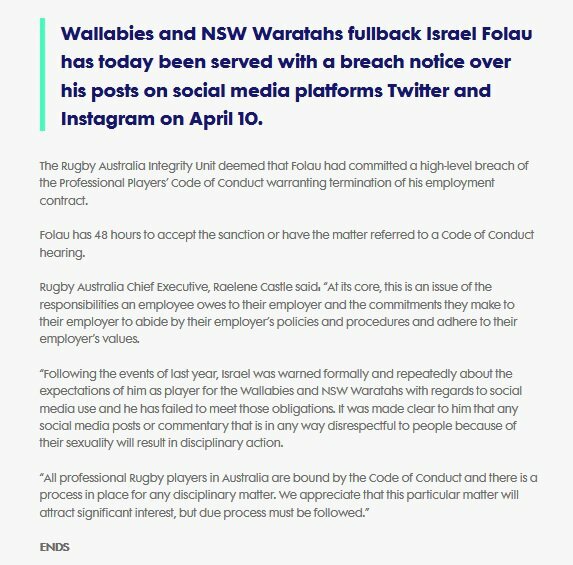 "Following the events of last year, Israel was warned formally and repeatedly about the expectations of him as player for the Wallabies and NSW Waratahs with regards to social media use and he has failed to meet those obligations. It was made clear to him that any social media posts or commentary that is in any way disrespectful to people because of their sexuality will result in disciplinary action," said Rugby Australia Chief Executive, Raelene Castle in a statement posted online. "At its core, this is an issue of the responsibilities an employee owes to their employer and the commitments they make to their employer to abide by their employer’s policies and procedures and adhere to their employer’s values." "In saying that, obviously I love playing footy and if it goes down that path I'll definitely miss it. But my faith in Jesus Christ is what comes first," he told the publication.